The European Union has allocated EUR 647 million to finance gas projects in the Baltic region, and central, eastern and southeastern Europe, making Europe less dependent on Russian gas supplies, the European Commission said in a report issued on Thursday. "The supported projects will increase the energy security of Europe and help to put an end to an isolation of the energy networks of EU member states," the report reads. "We will direct financial resources towards the completion of a single European energy market and the integration of renewable energy sources in the electricity network," the European Commission said. According to European Commissioner for Energy Gunther Oettinger, this solution will allow the creation in the shortest possible time the infrastructure that is needed to ensure the energy security of Europe. "The geopolitical crisis has highlighted the need for better compatibility among the energy networks," he said. As reported earlier, another round of tripartite talks between Ukraine, Russia and the European Union was held on October 29 in Brussels. 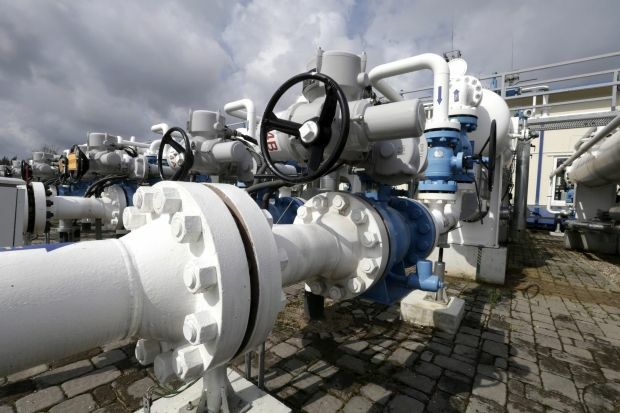 It is expected that evening of October 30, the sides will sign a package of documents on the supply of Russian gas to Ukraine for the 2014-2015 winter season.